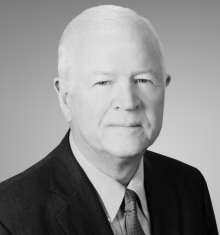 Saxby Chambliss is a partner at DLA Piper in Atlanta. He served as a member of the U.S. Senate for two terms, and was the Vice Chairman of the Senate Select Committee on Intelligence. He also served on the Senate Armed Services Committee and the Senate Rules Committee. Chambliss was a member of the U.S. House of Representatives for four terms and served as Chairman of the House Intelligence Subcommittee on Terrorism and Homeland Security.